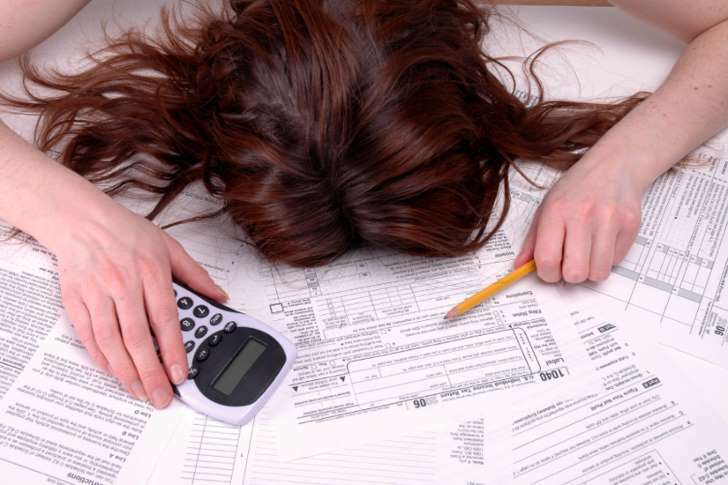 Tax filing time will be here before you know it, and while it may seem like an odd time to worry about such a faraway event, that may be the first clue you have a problem. You believe you only need to think about your taxes once a year. Sure, for plenty of individuals, if taxes come out of your paycheck, and you don’t have much excitement in your financial life, you may be perfectly fine with thinking about taxes and the Internal Revenue Service for just a few weeks or days in the first few months of the year. But there are plenty of other taxpayers who aren’t so lucky. They may be making mistakes right now that will haunt them later. But don’t be scared. Pull out the flashlight, look into the darkness, be proactive – and make sure not to avoid these tax-filing mistakes. Forgetting to make estimated tax payments. People who have taxes taken out of each paycheck can skip over this one. But if you are one of what the U.S. Bureau of Labor Statistics estimates to be 15 million self-employed people, you could be making a big mistake right now. So the taxpayer gets the return prepared, and there’s a huge bill, say, $15,000. And then, Spaulding says, you’re making a payment plan with the IRS to prevent or stop enforced collections through levies and garnishments. That unfortunately happens a lot with contractors, says Priya Mishra, the managing attorney at Top Tax Defenders, a back tax resolution firm in Houston. You’re paying or receiving alimony and not keeping track of it. You want to make sure you’re keeping good records, so when you report it on your taxes, your number matches up with your spouse’s, says Noel Dalmacio, a certified public accountant who has his own practice in Irvine, California. If you report different numbers, you’ll likely receive a letter from the IRS, Dalmacio says. Will it destroy your finances and ruin your life? Probably not. Will it be a big hassle? Yes, one that could last a few months or even up to a year, according to Dalmacio. You’re earning income on the side but not reporting it. You know this is a problem, and if you’re not reporting it, one article about tax-filing mistakes likely won’t change your mind. You are planning on selling rental property. The tax reporting for reporting rental income is pretty straightforward, Spaulding says. “Your income and expenses get reconciled on a Schedule E and the net income or loss is reported on your 1040,” he says. But he says you need to make sure that one of your expenses you take is depreciation. “Otherwise, when you go to sell the rental property, you will get hit with depreciation recapture for the amount you could have taken. Since the recapture formula is only concerned with what you could take – not what you did take – you may end up paying taxes on depreciation deductions you never received,” Spaulding says. You’ve hit 70, and you aren’t planning on withdrawing from your IRA. It’s a common and expensive tax error, says William Stack, owner of Stack Financial Services in Salem, Missouri. “Taxpayers who have either inherited an IRA or are older than 70 and a half years of age often forget or don’t realize that they must make a withdrawal from their retirement accounts before Dec. 31, to avoid the 50 percent penalty. Even Roth IRAs, that are considered tax-free, sometimes have withdrawal requirements when inherited,” Stack says. A 50 percent penalty? That sounds grim and frightening, as if half your savings could be wiped out. Not quite, but it’s serious and scary enough. Let’s make the math easy and say that you’re supposed to take out $2,000 from your IRA. You’ll be hit with a $1,000 tax penalty. You could have had $2,000 in your bank account, but instead you’ve just lost $1,000. So if you try to not think about taxes all year, maybe you should start reminding yourself about them. Yes, filing your taxes can be scary, but what can happen if you don’t think about them is downright chilling.